A little boy grew up in the great state of Kentucky. He spent the bulk of his childhood sitting by the side of the road, watching those massive tractor- trailer trucks swish by, dreaming that someday he would get the opportunity to ride in one. When he became a teenager, he got his ambition and that convinced him that’s the way he wanted to spend the rest of his life–driving one of those rigs. When faced with the end of your life, what will you think? When you reach the end of your life–when it’s all said and done–what legacy are you going to leave on this planet? Having ministered to many at death’s door, the things that were important to them were the 3 F’s–family, friends and most of all, their faith in Christ. Having a near-death experience, getting a fatal disease, receiving a bad medical report, growing old for the Christian brings clarity to what is important and what’s not. It won’t be your income, education or your sports history, nor your home or pets that’ll be important (especially hamsters or cats). It’ll be people–your family, your church family, your friends. Things don’t matter, conferences never last, even books will be destroyed with this planet. Trophy’s break, teams graduate, activities end, houses burn, but people are eternal–people matter. And that alone makes obedience to the command to disciple incredibly important. But it’s right at this point, with this concept, that many Christians get it wrong. Just mentioning the word discipleship creates confusion. Making disciples is a misunderstood concept and theology. Most Christians see discipleship as only functioning one way, as an optional event if they have time, different than parenting, or as some sort of weekly meeting to discuss a book. May I say it clearly–if that’s what you think, you do not understand discipleship at all. You and I are commanded by Christ to pursue intentional relationships for the purpose of growth in Christ in the context of the local church–every single born again man and woman. First Peter 5:5, the younger men submit to/follow the older men. Hebrews 13:7 and 17, church members imitate their elders. Colossians 3:20, children are to follow their parents. This is not optional and must not be ignored. But some of you won’t pursue discipleship, because you have weird views about meeting one-on-one with someone at Denny’s, where everything on the menu tastes like scrambled eggs. You think it is a once-a-week meeting, comparing your life to a good Christian book. Or it is only done with one older mentor and you can’t find that perfect person who’ll solve all your imperfections. Or discipleship only counts when you’re listening to some seminary-trained guru, or a part of the training center. No–stop it. You are wrong, that is not a clear picture. So let’s get a clear picture by turning to the command you must not ignore. It is found in every gospel and Acts, but the clearest in the familiar Matthew 28:16 to 20–turn there. Here is the gospel to the Jews, who were myopic. They thought the message of God was intended just for them. 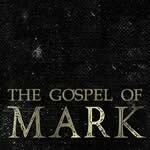 So Matthew ends his gospel, reminding them God intends you to make discipleship to all the nations, not just Israel. It will be the corporate mission of the local church body and it will be the mission of every individual believer here. This is your mission, this is your command. This must not be ignored–this process must saturate our church. Every one of you, regardless of age, must obey this command. Before you read it together aloud, I want you to catch some obvious and not so obvious truths–look there. Verse 18, this command comes from Christ, who is the all-powerful, sovereign God who is in charge with “all authority.” Verse 19, the main command is “make disciples,” and it is defined by three participles–“go . . . baptizing . . . teaching.” Verse 20, this command comes with God’s special presence, “I am with you always.” And verse 20, this command is still active and intended for you. This command is good “even to the end of the age“–we’re not there yet, therefore this command is directed to you and me. Allow God’s Word to give you an eye exam, to see what discipleship is clearly. Many of you need to fix your distorted view. Some of you need to feel the passion of Christ for making disciples. A few need to understand that biblical parenting is discipleship. And if you’re not discipling your children and allowing the body of Christ to disciple your children, then you’re failing them–even if you homeschool. And each of you need to embrace the process of discipleship, if you’re ever going to become more like Christ. The Spirit of God wants to make you like Jesus, and He uses the entire discipleship process with fellow Christians in relationship to one another to make it happen, through the Word, prayer, etc. The Great Commission is one of the church’s main G’s–the G-great commandment to love, the G-gospel to proclaim, the G-God’s glory to display, and the G-great commission to invest. You see the non-option from verses 16 to 18. Christ is resurrected from the dead. Christ has proven everything He said and did was true. This is most likely the event where Christ appeared to the 500 at one time. Christ is God in the flesh and this command is His will. Christ’s final earthly order–and His commission comes from the God who is running this world. This command comes with “all authority.” Apart from Christ, you can do nothing, but this command comes with all authority and power–you can and must depend on Christ. The Church is messing up today. We’re ignoring His command. The Church elevates other priorities so high, this command is overlooked. The Church is consumed with making converts, but it forgets to make disciples. The Church goes to evangelize, but forgets to baptize and teach them to obey–to grow them in Christ. Every element of life was an opportunity to model and teach. Parenting is discipleship–discipleship is spiritual parenting. And now Jesus says to you, until He returns, you and I are to pursue intentional relationships for the purpose of growth in Christ in the context of the local church. Like a relay race, you are expected to pass the baton. A baby must learn to walk, run, feed themselves and jump–but much of that requires the intentional encouragement of excited parents. Christians are to intentionally invest into other believers to mature them in the same manner. Friends, this is the Great Commission, not the Great Omission–the briefing before the battle. There is no other option, no other directive, no other process. God doesn’t need you to make disciples for Him, as if Christ was unable–no! Discipleship is mandatory, because you need to make disciples. God created you and redeemed you to spiritually reproduce. Dogs bark, ducks swim, and every Christian makes disciples. To not pursue discipleship is to deny why you were saved. Making disciples is the command of our general to His army–disobedience is AWOL. This is Christ’s most important assignment for you–not merely to invest into your children, but mentor the lost in the world and the saved in the Church. Gallup’s survey of religious life in America made this shocking statement–“Never before in the history of the Church has the Gospel of Jesus Christ made such inroads, while at the same time making so little difference in how people live.” Why? #1) A weak Gospel, #2) No discipleship. This weakness is the result of a fascination of making decisions without making disciples. Don’t treat discipleship as optional. Then what is it exactly? You say, “I can’t model, I can’t influence, I can’t disciple–I can’t even get to church on time. How can I disciple others?” Discipleship is a relational process. Discipleship is a commitment of friends to assist each other to come to Christ and become like Christ in the context of a local church. Look again at verses 19 and 20, “Go therefore and make disciples of all the nations, baptizing them in the name of the Father and the Son and the Holy Spirit, 20 teaching them to observe all that I commanded you.” The main verb is “make disciples” and the three participles, “go . . . baptizing . . . teaching” define the process of discipling. A disciple is not a super-Christian. The term disciple was the first name of a Christian. Luke reminds you in Acts 11:26b the disciples were first called Christians in Antioch. The term disciple means learner and follower. “Make disciples” is a command to make learners of and followers of Christ. Disciples learn and follow so they might be like their Master. True disciples pursue imitating the Lord in every way–in every thought, word and action. And this is through a relationship. Luke reminds you in Luke 6:40 ESV, “A disciple is not above his teacher, but everyone when he is fully trained will be like his teacher.” You are like Him because of a relationship. Discipleship is a relationship in order to help others become like Christ. And that process includes going, which is evangelism as a way of life–literally, as you are going through life, share the Gospel. Making disciples includes relational evangelism–going. True discipleship is never divorced from evangelism. So as you go through life–go. And as you come in contact with non-Christians, share the truth of the Gospel with them. Sharing the Gospel is the Christian’s true lifestyle. BAPTIZING–which is public identification with Christ and public incorporation into the body of Christ, the Church. All believers are not only indwelt by Christ, but they are to be immersed in the local church. And finally . . .
TEACHING–others to obey all that I have command you. Through relationship, teaching others how to bring their lives under the authority of God’s Word. Every part of your life, obeying the Bible. Showing them what to obey in God’s Word and showing them how to obey God’s Word in every aspect of life–not to make you a smarter sinner, but to make you more like Christ. You say, “I just can’t do it. I have nothing to offer. I am too great a sinner. I’m not mature enough. I am too young in the Lord. I have not ever been discipled or discipled anyone.” Shut up! Don’t be foolish. Read your Bible and stop embracing these errors about discipleship. You don’t do discipleship alone. Making disciples is never about you alone influencing one other person. That is not what Jesus is commanding here. “Make disciples” is plural, “going” is plural, “baptizing” is plural and “teaching them to obey” is plural–we do this together. You are never to be the sole influencer. You were never intended to be the solo impacter of another believer. One of the sweetest truths about discipleship is that the term disciple actually disappears after Acts 21–no New Testament epistle contains the Greek word disciple. The process of making disciples is everywhere in the epistles, like older women training younger women. But the term disciple is not found in any New Testament epistles, and this is the reason–as the focus of the New Testament moves from Christ to the apostles to elders and the church, so does the process of discipleship. And the best part is this–just as Christ physically discipled His men, now the body of Christ disciples Christ’s men. The local church now makes disciples–you and I are involved in the process of making disciples together. Christians in a church body intentionally invest into others in order to come to Christ and become like Christ. Think corporate, think church, think biblically. You, as an individual believer, are part of the process of impacting others to live like Christ. Stop thinking solo. You may meet with another one-on-one, but you are never the sole influence to cause them to become like Christ. You are part of the body of Christ, gifted in some manner to display a part of Christ’s immense and awesome character, but you never display all of Christ to the fullest. You need others to impact those you invest in, so that they’ll grow to be like Christ. Parents need this for their children, and the church needs this for her saints. Parents do not have all the spiritual gifts and you do not have all the spiritual gifts. We make disciples together–they’re never your disciples, they are Christ’s disciples. A student learns from the youth pastor what his parents have taught him for years. Instead of Christ bodily making disciples, Christ now uses His body to make disciples–it’s the body of Christ, and you’re part of that relational impact. When you meet one-on-one with someone, it increases the intensity and accountability, but it also increases the possibility of them becoming more like you than like Christ. But discipleship can be one-on-one, or a group meeting together, or a church gathering for worship–as long as there’s intentional relationships for the purpose of growth in Christ. Are you getting this? Discipleship is what the church does as the body of Christ. You and I make disciples and each of us is a part of the process. But you must be a part of the process, because this is what Christ commands. If you’re meeting one-on-one, or you are in a group of men or group of women, then through loving discussion, you discover that Bill is struggling with living under God’s Word with his finances, and though all of you are okay with finances, none of you are really strong. So what do you do? Because you are committed to the great commission and want to teach each person to obey all of Christ’s commands, then you may have Bill meet with Sammy. Why? Sammy is amazingly biblical with finances and will be a better help to Bill to help him become like Christ with his money. You all learn from each other. The goal is not to meet as a group, the goal is not having a one-on-one meeting–but the goal is to become like Christ and the means is anyone and everyone in the body of Christ who can relationally help in that process. Are you getting this? Think corporate. You’re part of the body of Christ which disciples. You contribute–sometimes one-on-one, sometimes in a group committed to maturing in Christ, but it is the body of Christ which disciples so people come to Christ or become more like Christ. Jesus said, “Teaching them to obey all I have commanded“–teaching all of us together to become more like Christ together. Discipleship is the relational process of a healthy church body. And . . . This is simple, but so very crucial to you and to me . . . Christ made disciples, but how did Christ do it? Are you ready? Christ lived with His disciples. Christ answered their questions. Christ ate with them. Christ taught the multitudes and modeled for His men. Christ sent his men out two-by-two to practice ministry. Discipleship is going, baptizing and teaching them to obey–evangelizing, immersion in the church, and coming under the authority of the Word in every aspect of our lives. Christianity is better caught than taught. Our faith is better imitated, than merely instructed. Discipleship is not preaching the Word at someone. Discipleship is not teaching someone. Discipleship is not modeling the Word for someone. Discipleship is not going through a book with someone. Discipleship is all those things and more. Don’t think of discipleship as a curriculum or a book or a class or a course in a classroom. Stop it! Too many think of discipleship as a playbook. You know what a playbook is–it is the binder which contains all the offensive and defensive plays of a football game. So let me ask you–if I give you the playbook for the Green Bay Packers and you memorize every play, will that make you ready to play for the Green Bay Packers–yes/no? No, it won’t. You need to exercise, work out, eat right, model other players, listen to your coaches, push weights, and run plays over and over again to play for the team. Too many think making disciples is merely learning the playbook in a classroom. Discipleship is the process of instructing in God’s Word modeled through a life with lots of practice–through relationship with others who are pursuing Christ. Fruitful discipleship is seeking to impact others for Christ, by training others like Christ. Making disciples is intentional relationships directed by the Word of God, empowered by the Spirit of God, with intentional and extended life example, with the involvement of the body of Christ, so that others will come to Christ or become like Christ. Discipleship is modeling what Christ did for His men. Friends, everything Christ said is perfect and everything Christ did is perfect. Discipleship in the community of the church should imitate how Christ discipled His men as much as possible. Don’t ignore the command to make disciples–if you’re in Christ, you are in. Get after it, right now–get into intentional relationships for the purpose of becoming like Christ. Discipleship is messy, difficult, humbling, and exactly what Christ expects you to do. This is our mission as a church and your mission as a Christian. And this mission for FBC and each one of you is vast. Making disciples is local–as you’re going about, you should be impacting the lost with the Gospel of Christ. There is no discipleship without personal evangelism–go. You are to preach the Gospel as you go through life. But discipleship is also global. Look at verse 19 again–“Go therefore and make disciples of all the nations.” Together you and I are to be a part of making disciples in the nations. Follow this–because discipleship is what the church does together, then missions is doing Church elsewhere. We establish churches in order to reach the lost in other nations. Making disciples in other nations requires a church in order to make disciples biblically. So establishing the church is vital. And if you have Christ’s heart, then like Him, “not wishing for any to perish but for all to come to repentance” (2 Peter 3:9). Do you have the same heart of Christ to reach the lost, by making disciples through his Church in all the nations? Through prayer, giving, involvement, do you pursue Christ’s mission to make disciples worldwide? Making disciples is to help others come to Christ and become like Christ, but it’s also to help others come to know the greatness of the triune God. Verse 19 again, “baptizing them in the name of the Father and the Son and the Holy Spirit.” Discipleship is not merely to teach them “to obey all that Christ has commanded,” but making disciples to immerse them in the church so they might know the fullness of the triune God–obeying, loving and knowing God. John 17:3, “This is eternal life, that they may know You, the only true God, and Jesus Christ whom You have sent.” Philippians 3:8, “I count all things to be loss in view of the surpassing value of knowing Christ Jesus my Lord.” Your mission is to introduce lost people to Christ and to help His children in getting to know Christ more intimately and deeply. Christ’s statement of “all authority is given to me” tells you making disciples includes the power of God. But when Christ says in verse 20, “and lo, I am with you always“–the Lord is affirming that making disciples also guarantees the presence of God in the process. Both His power and His presence are yours in pursuing this great mission and command of Christ to make disciples. Are you going to obey Christ’s command to you? Jesus says this is for every believer. Verse 20, “even to the end of the age”–until your end, until the end. Do not ignore the command to disciple. John 10:27, “My sheep hear My voice and I know them and they follow Me.” The Greek word for follow is road/path–my sheep take my path and Christ’s path is making disciples. John 17:18, “As thou didst send me in to the world, I also have sent them into the world.” You’re here on Earth to make disciples. As a part of the Church, you are to intentionally and relationally invest into others so that others will come to Christ and become like Christ. Are you following Christ? Are you fulfilling your purpose? The scary part is, if you are not, something is wrong. It may mean you live by fear, not faith. It may mean you’ve never been taught the importance of discipleship. It may even mean you have a wrong view of salvation. When Christ forgives a sinner, when Christ justifies a rebel, when Christ unchains His chosen from their sin–He makes them into a follower, a learner and someone who wants to obey. Romans 6:17, “But thanks be to God that though you were slaves of sin, you became obedient from the heart.” First Peter 1:1, “Peter, an apostle of Jesus Christ, to those … who are chosen 2 according to the foreknowledge of God the Father, by the sanctifying work of the Spirit, to obey Jesus Christ.” You are saved to obey the Word of God. There are no wimpy, carnal, partial believers with any assurance–only obedient believers. And this command is not optional. Do not ignore Christ’s heart for you to make disciples. The spectator mentality of the current Christian culture destroys discipleship. Those so-called make-believers who do not serve anyone, are not accountable, and invest in no one are not in God’s will. Those who are solo, all about their own family, attend church once a month are in sin. Part of God’s will for every Christian is not only being in a functioning community, exercising your gift in service and pursuing the one another’s of the New Testament in the church, but also to exercise intentional relationships for the purpose of growth in Christ–discipleship. Ephesians 4:16 is pointed, “From whom the whole body, being fitted and held together by that which every joint supplies, according to the proper working of each individual part, causes the growth of the body for the building up of itself in love.” Love is only seen in relationship. Take the steps to become interconnected in relationship. Then take the steps to be in intentional relationships for the purpose of growth in Christ–get into a discipleship group. This is the biggest fear preventing believers from discipling. The church and Christians are not looking for perfect examples, but for progressing ones. The lost can point out your faults, but not when you change. You demonstrate the reality of Christ by changing, progressing, growing and loving. Change is an indicator of a healthy believer and a healthy church. When you’ve stopped developing, you are deteriorating. What children need is progressing parents, not perfect ones. What the church needs is growing Christians, not great ones. A true follower of Christ learns from the preached Word from the teaching of a community group, from podcasts, books and MP3 sermons and their discipler–yes learn. But the true disciple is also a 24/7 learner, meaning they learn from comments made in fellowship, from friends, from children, elders, pastors, leaders in relationship–whether young or old, rich or poor, distant or close. For the true learner, all relationships become the means for you to become like Christ. Making disciples is not a command you can ignore. Jesus just taught us making disciples requires the power and presence of God. And that does not happen unless you have Christ in you with salvation and the Spirit through you in sanctification. You can’t do it. Maybe today you are a wimpy, so-called, uncertain Christian. Maybe today you know you are not born again internally. Maybe today you’re an uncertain, distant Christian, in name only, which means today, you must cry out to Christ to open your heart, as you respond to Him in repentance and faith. I think if I had one special criticism to level against the average Christian, it would not be that they are doing something so terribly wrong, but the fact that they are not really doing anything. They seem to be content to just occupy time and space in this world–a world that is falling apart around us. A world that desperately needs the message that we have. In such a situation, an apathetic satisfaction with the status quo is tragic. To content oneself with simply being a nice guy is lamentable. It reminds me of the story concerning an elderly spinster named Nancy Jones. Miss Jones lived in a small mid-western community. She had the notoriety of being the oldest resident of the town. One day she died and the editor of the local newspaper wanted to print a little caption commemorating Miss Jones’s death. However, the more he thought about it, the more he became aware that while Miss Jones had never done anything terribly wrong (she had never spent a night in jail or had ever been drunk), yet she had never actually done anything of notice. While musing over this, the editor went down to have his morning coffee and met the owner of the tombstone establishment in the little community. He poured out his soul to him. The tombstone proprietor stated that he had been having the same problem–he wanted to put something on Miss Jones’s tombstone besides, “Miss Nancy Jones, born such-and-such a date and died such-and-such a date”. But he couldn’t think of anything of significance that she had ever done. Here lies the bones of Nancy Jones, for her life held no terrors. Now I don’t know about you, but I don’t want that to be said of me. When I depart from this life, I want my life to have counted for something. I want to have made some sort of positive contribution for the glory of God.